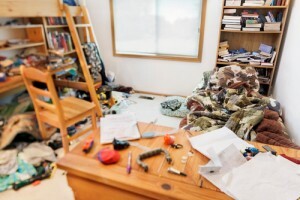 If you’ve decided to sell your house but you have things in every nook and cranny, the first thing you need to do is declutter. It could increase the final sale price. 1. Be ruthless. If you haven’t used an item for months on end or you’re saving things ‘for a rainy day’, stop. Get a bin bag, fill it and donate it to your local charity shop. Viewers need to imagine what your home would look like if it belonged to them and seeing your things makes this harder. 2. If there are items or furniture you wish to keep but you don’t want them on display while you show the house, consider renting storage space until moving day. 3. If you need help to clear away excess waste and unwanted items you can hire experts like TH Removals. We provide a professional and friendly rubbish clearance service. 4. Don’t forget the garden! A cluttered garden is a bad advertisement. TH Removals can help you there too. 5. After you have removed the rubbish, clean your home thoroughly. For tough jobs like toilet limescale, you can eliminate the need to scrub by using white vinegar. 6. Give your home a new coat of paint, preferably in white or cream. Bolder colours may not be to the viewers taste and a neutral colour will make your rooms look more spacious. Wall mirrors can also expand a room. 7. Cut threads off carpets, replace cracked kitchen tiles and do other minor maintenance work around the property. Viewers are more likely to buy if they don’t have to pay to replace carpets and fixtures. 8. If your kitchen is outdated, consider putting in a new one. Although a major investment, it could add thousands to the value of your home. 9. Add homely touches to give the room a warm atmosphere, such as putting a full fruit bowl on the table or having a roaring log fire on. 10. Place plants or fresh flowers in the communal rooms. These look nice and make the house smell great. Hello, and thanks for visiting our new website to find out exactly what we do here at TH Removals. Quite simply, we’re a very affordable removal company who also specialise in rubbish & house clearances. We’re a family owned business that have been in business for over 10 years and proudly service the greater Bedfordshire, Buckinghamshire and Hertfordshire areas. Thanks to the length of time we’ve been in business and the large area we cover, we’ve built up a great list of happy customers – some of those customers have left the glowing testimonials that you can see on our website. Speaking of our website, we’ve recently had a new design commissioned for our site thanks to its ever growing popularity. We’ve included such helpful pages such as our quote calculator, coverage map and pricing table. We also have a dedicated contact us page to make it even easier for you to get in touch with us. For our house removals, we use our dedicated Mercedes Luton van, which is fully equipped with all the equipment we need to transport your prized possessions with comfort and safety in mind. We also carry a satnav to ensure we can find your property with minimal fuss and are fully insured to carry out removal work, for your piece of mind. Even though we do offer a rubbish clearance service, this isn’t carried out in our dedicated house removal vehicle for obvious reasons. When you hire us for your next move, our professional and friendly staff will strive to make sure that the whole process is as easy and stress-free for you as possible. Thanks to our vast experience and the care that we take in our work, you can be sure that your next move will be an easy one. Our house clearance service has proven to be very popular, and for good reason. Because of our experience and professionalism, you can be sure that we’ll treat all your items with the utmost respect and care. Because of the nature of our work and the circumstances that we are often hired in, we’ll often come across antique furniture, collectables, valuable artwork and other pieces of value. If we do come across something of value, we’ll make you an offer for it ourselves – however should you not wish to sell it to us, we’ll happily advise on where and how to sell it. Should we agree a price with you on an item, this is offset against the cost of the total house clearance job. In some cases we’ve ended up paying clients for the job, instead of them paying us. Our rubbish clearance service is a great way of getting rid of your garden waste, unwanted building materials, office junk and many other types of waste at a very affordable price – most times we’re even cheaper than hiring a skip and doing the work yourself! 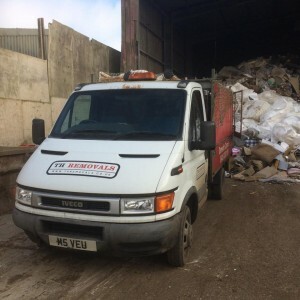 We have a dedicated waste tipper truck and an expert team that will happily come to your home or office to clear out your rubbish and free up much needed storage space for you. We’re fully licensed to legally remove and responsibly dispose of any items that we clear off your property for you, so you know you’re getting a quality and professional service.